You can't miss with this! He never misses and neither will you with this Suicide Squad Deadshot Bandai SH Figuarts Action Figure! 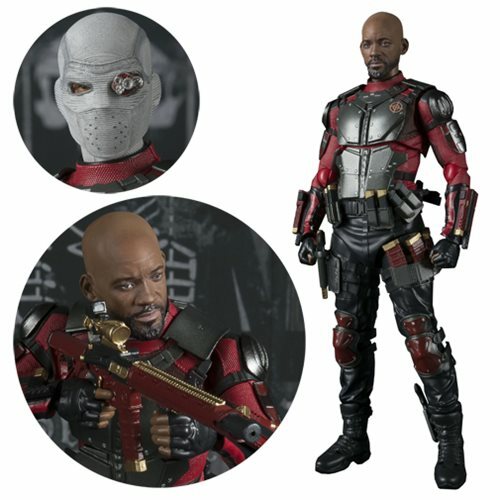 Using top of the line digital print technology, you get a dead ringer of Will Smith as Deadshot. Minute details from Deadshot's suit are also recreated down to the last detail. Figure includes 4x interchangeable hands, interchangeable "masked" head piece, and weapon. Item measures roughly 6-inches tall! Ages 15 and up.